So this week I was on vacation. on the bright side, I really needed the relaxation time, but on the downside, I spent that time with friends, and got no painting whatsoever done. Fortunately there were some wonderful artists on the internet that picked up my slack. Speaking of slacking though, I might be doing it for the next month or so. You see, I will be spending the next 4 weeks traveling for work, and though I might get some painting done, it will not be up to my usual standards. As always, life gets in the way. Whether or not I find the time to paint though, I will make sure that the minis are posted. Dwarf King’s Quest – This is another project by mantic. I already have a couple games in this niche, but there are some lovely scuplts. Arjen is working on a very gritty color scheme that is looking great so far. Magnus went with a more stylized color scheme. Your shading is really coming along man! David is just getting started priming his goblins. And Dirk got his Goblins started, even though he is on vacation. He actully sent these too me last week. Now that is dedication. 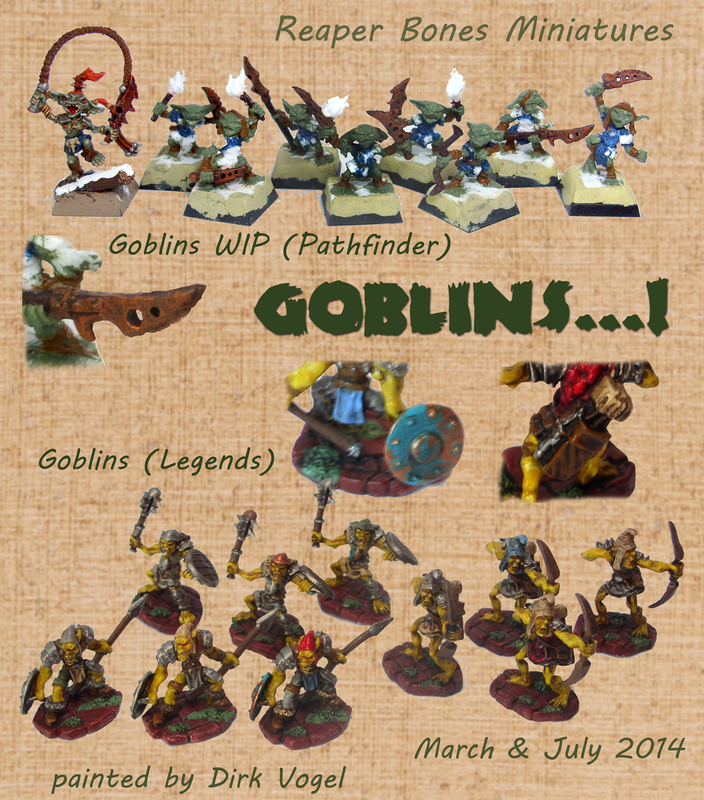 I love the two different schemes for the two different types of goblins; I can’t wait to see how they turn out. TBD – I got a bunch of great suggestions on minis last week. If you want to see something specific on the list, leave a comment. I like the other aproaches. @David: hope you can get some painting the next weeks, even if it is just one goblin or so. I found out it can be very relaxing just to paint one ortwo hous in the evening. nice step-to-step documentation from Arjen; interesting how you used a brown base coat for the whole model – I used once a green undercoat for some orks so I just had to paint the weapons and (nearly non existing) clothing. btw like the outcoming darky look. @Magnus: like the shading and the kind of feral look. @ “other” David: I´m very curious about your outcome – hope you can finish. And I saw that you now have the opportunity to catch up with the warchanter. Hi Dirk, I find one of the good things about bones that your basecoat can be any colour, so I am experimenting with different approaches: I use dark brown a lot as it gives a warmer, more natural background in the recesses. 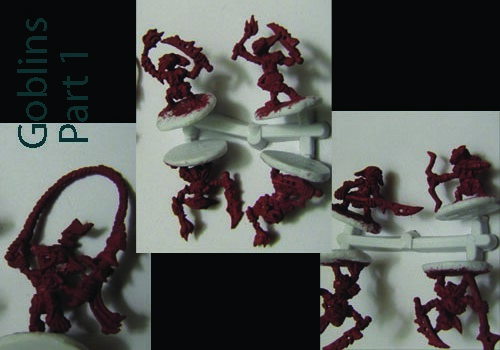 Another approach is to use as basecoat a darker shade of the colour I will use as main colour on that part of the mini. I have used dark shades of all colours this way. The skeleton ghost thing we did the other day, mine was basecoated in brownish yellow. The good thing about this approach is that your mini already gets a certain “feel” after basecoating, and you can experiment with colour combinations right from the start. If you do not like how the colours match, you wipe ‘ em off and little work is lost. I am not commenting on the minis yet. I want to see them finished first.